Indian and Jack Daniel’s team up to deliver a new limited edition model as a tribute to first responders and the Jack Daniel’s Fire Brigade. 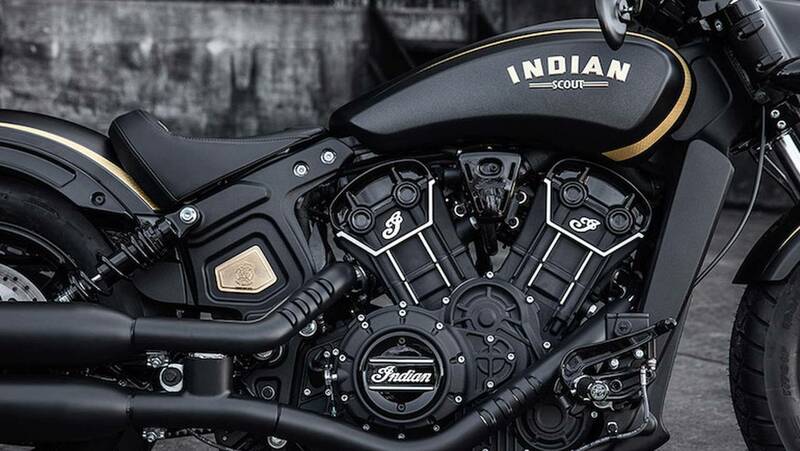 For the third consecutive year, Indian Motorcycle has partnered up with Jack Daniel's to create some limited edition bikes. The previous two collaborations were huge successes, with the 2016 Jack Daniel’s Edition Springfield and Chief Vintage models selling out in under eight-hours, and the 2017 Jack Daniel’s Edition Chieftains selling out in less than ten-minutes. With those kinds of numbers, it was a no-brainer for the two companies to put their heads together again to come up with a sweet custom bike, and boy did they knock it out of the park. Friends, let me introduce you to the 2018 Jack Daniel’s Scout Bobber. The gold pattern on the Jack Daniel's Scout Bobber's striping. This year's project took a slightly different direction as the companies opted to use the bike to honor first responders. In particular, the bike comemorates members of the Jack Daniel’s Fire Brigade—a unit comprised entirely of employee volunteers. Indian and JD enlisted the help of Brian Klock of South Dakota’s Klock Werks Custom Cycles to work on the build—his second year in a row working this project. A closer look at details on the 2018 Jack Daniel's Scout Bobber. 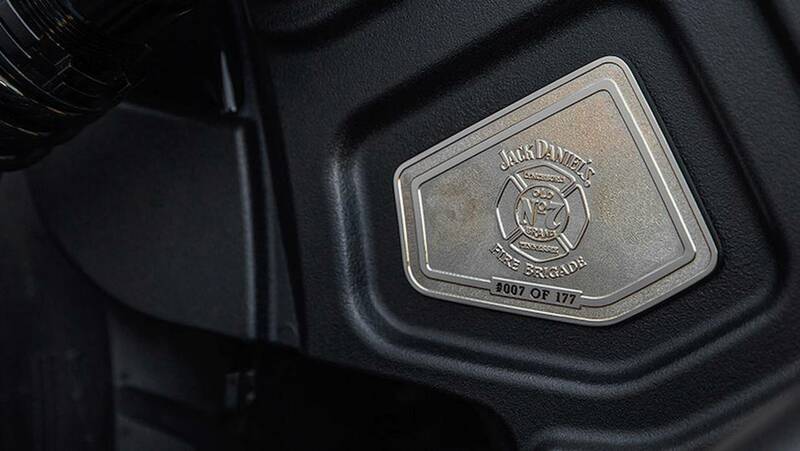 The 2018 Jack Daniel’s edition is painted up in black and gold to match the livery of the Jack Daniel's Fire Brigade trucks. 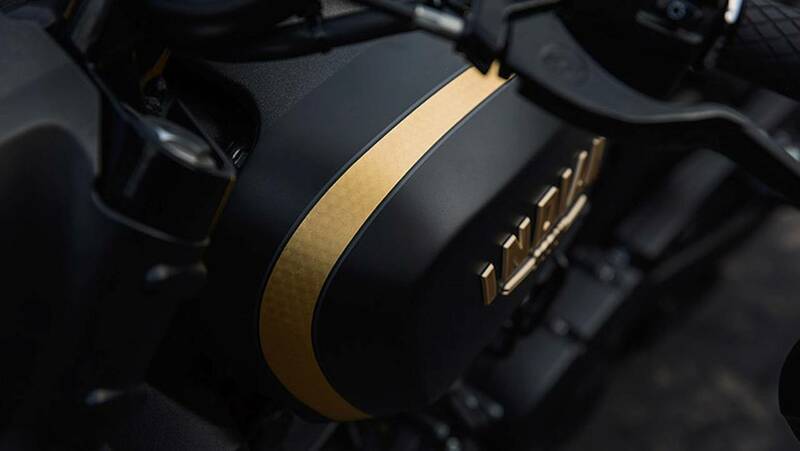 The black is a subtle two-tone consisting of different shades of black, and is contrasted by 24-karat gold stripes. Klock also threw on a new black leather seat with gold “Jack Daniel’s” stitching across the back. The custom grips, seat, and exhaust tips on the Jack Daniel's Scout Bobber. 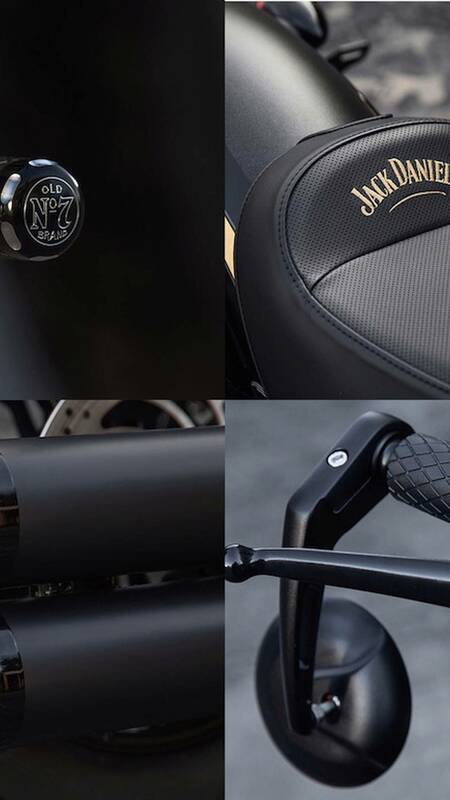 The valve covers, levers, rear fender struts, and exhaust tips were all given a premium gloss black finish, and the Jack Daniel’s Fire Brigade emblem. Klock also tacked on a set of custom foot controls, grips, and pegs that are capped-off with Jack Daniel’s “Old No. 7 Brand” logo. 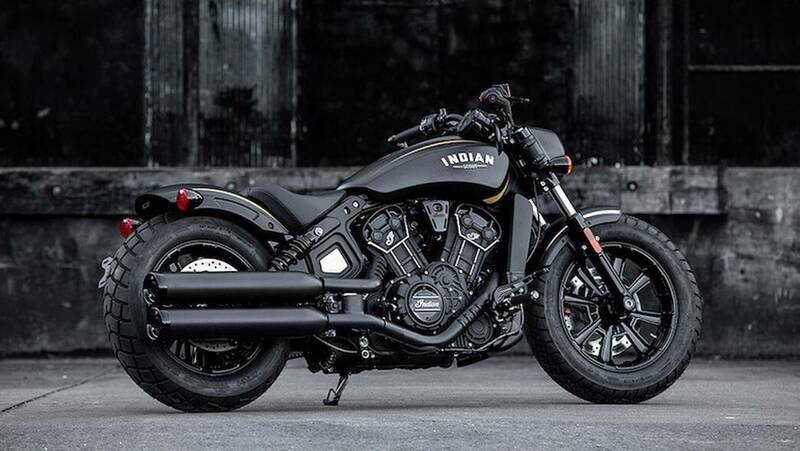 The 2018 Indian Jack Daniel's Limited Edition Scout Bobber. EVEN MORE JACK DANIEL’S INDIANS: Jack Daniel’s Chieftain sells out in 10 minutes! Jack Daniel's Scout Bobber's Montana Silversmith badge coated in actual 24K gold. 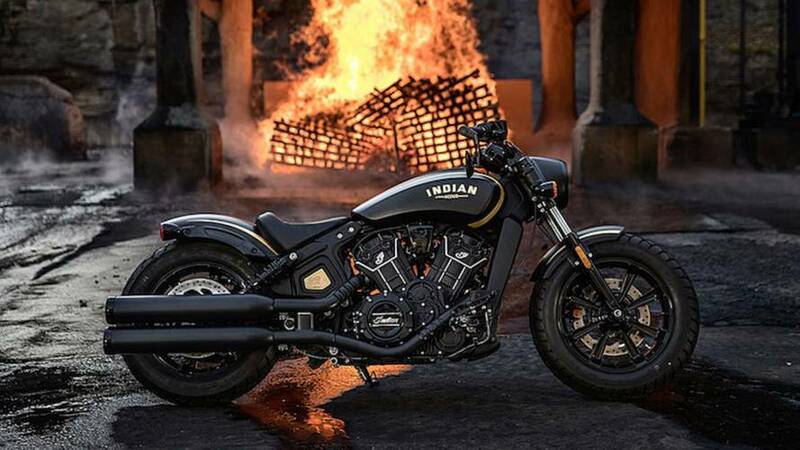 Only 177 units of the 2018 Indian Limited Edition Jack Daniel’s Scout Bobber will be produced globally. The bike starts at $16,999 US (or $20,999 in Canada) and based on last year’s sale, they're gonna go fast. Ordering starts March 13, 2018, at noon EST and deliveries will commence in August. For more info or photos you can check out the limited edition model’s page on Indian’s website. 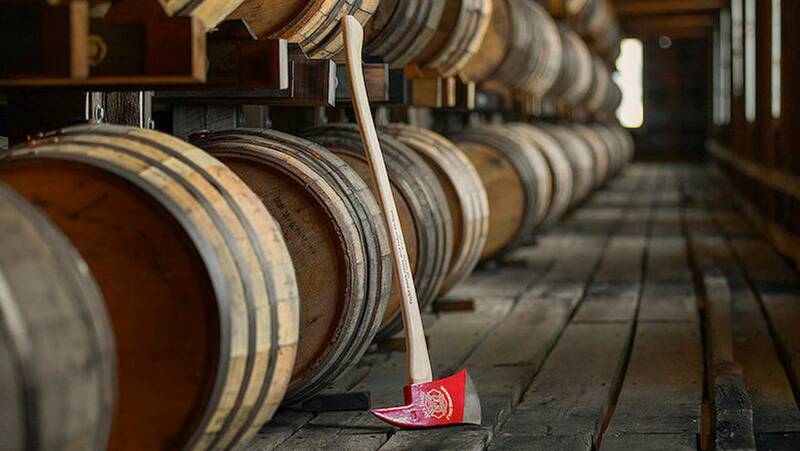 The special Jack Daniel's Fire Brigade Axe that comes with each of the 2018 Jack Daniel's Scout Bobbers.